BIRD NETTING: Keep Birds out for Good! Bird-X’s high quality bird netting is a practical and secure solution to your bird and pest problems. Netting can be an effective deterrent to many types of birds and pests, including Pigeons, Ducks, Blackbirds, Woodpeckers, Grackles, Swallows, Sparrows, Bats, and Raccoons. Bird nets physical block birds and other pests from entering areas where products, crops, or other property must be kept safe. 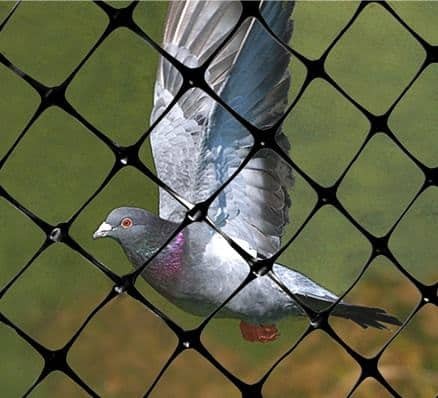 Netting is a discrete solution that works well in high traffic areas where visual or sonic bird control products would draw unwanted attention. The netting is barely visible from a distance, doesn’t make any sound, and doesn’t require any electricity to operate. It works best in facilities have semi-enclosed spaces or large open areas that pest birds find inviting. 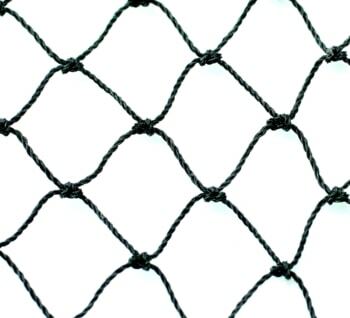 Listed below are some of the common types of property where bird netting best used. 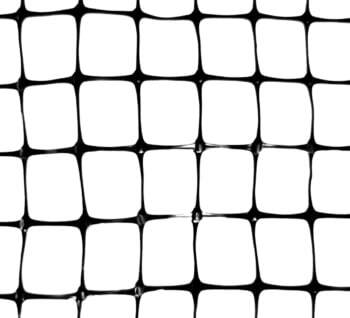 Bird-X makes three types of bird netting; standard, heavy duty/structural, and premium. Our standard netting comes in two sizes, 14×100’ or 14×200’, and has a ¾” mesh size. 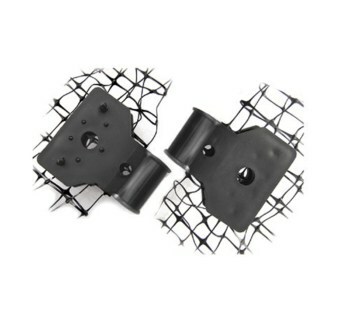 Structural netting comes in the same sizes but has a tighter ½” mesh size. 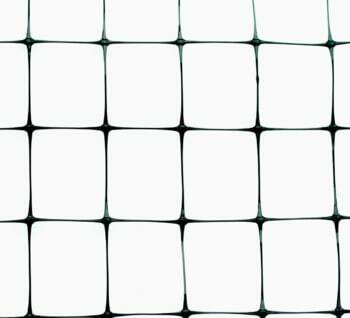 Our Premium grade netting comes in a larger variety of sizes, including 25’x25’,25’x50’,50’x50’, and 50’x100’, with a ¾” mesh. Premium netting is also stronger and more durable than our other netting products, and includes a 10 year warranty on material defects and workmanship. For additional information, look at the material specifications and testing results of our netting. Bird-X works closely with professional installers and pest control operators on bird netting projects of all sizes. Our Bird-X experts can help you through the initial planning process and provide installation instructions to make sure you get the right bird control solution.